The D.C. police and firefighters unions are lashing out at what they call inexcusably long response times for ambulances. The outrage comes after a Metropolitan police officer had to wait 20 minutes for an ambulance Tuesday night after sustaining serious injuries in a hit-and-run accident. "I thought he was dead, honestly, because he wasn't moving," a witness said. 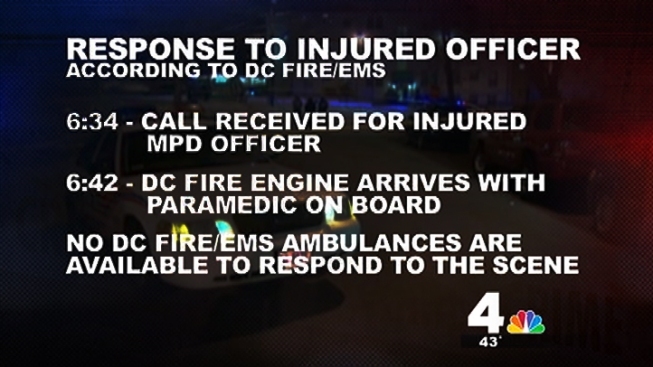 At 6:34 p.m., D.C. Fire & EMS received a 911 call about the injured officer. At 6:42 p.m., a D.C. fire engine arrived with a paramedic on board. But no D.C. ambulances were available to respond to the scene. At 6:52 p.m., Prince George's County emergency crews arrived. At 7:03 p.m., the injured officer left the scene in a Prince George's County ambulance on the way to MedStar Washington Hospital Center -- 29 minutes after the initial 911 call. 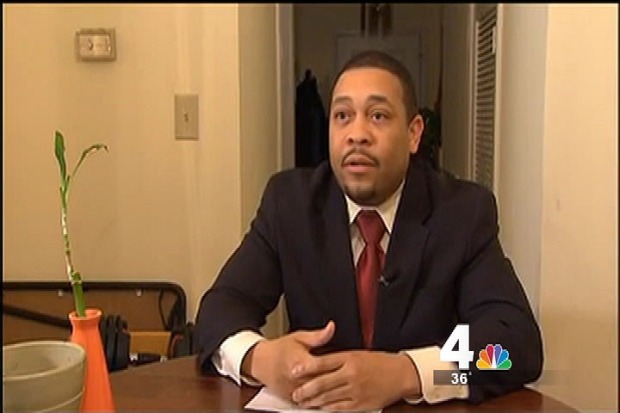 The D.C. Police Union issued a statement highly critical of D.C. Fire Chief Kenneth Ellerbe. "It is inexcusable that a D.C. ambulance was not available. Chief Ellerbe is accountable for ensuring emergency care and transport in D.C.," wrote union chairman Kristopher Baumann. The statement continued: "The D.C. Council cannot continue to overlook mismanagement when we are dealing with life and death situations." One fire union representative says these long wait times are becoming more and more common. "Unfortunately, it's a incident that's become all too familiar," said Dabney Hudson of the D.C. Fire Fighters Association Local 36. "We need to put more units on the street. 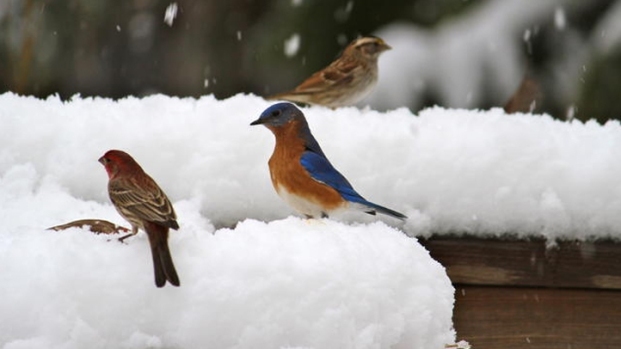 We have daily occurrences where units are waiting far too long for an ambulance," he said. This is the second time this year that the fire deparment has come under fire for long ambulance wait times. In the early morning hours of Jan. 1, 71-year-old D.C. resident Durand Ford Sr. died while waiting for an ambulance. His family called 911 at 1:25 a.m., but an unusally high number of Fire and EMS workers had called out sick that night. Ultimately, a Prince George's County ambulance arrived 33 minutes later, but Ford had already died.